With the Online Bill Pay module each account that can receive payments will be available for online viewing. 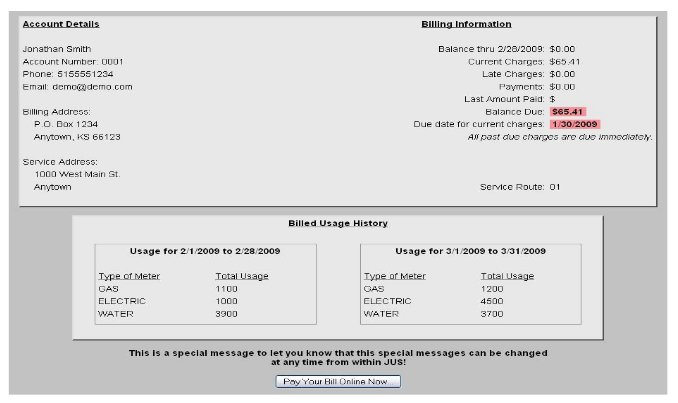 Once a customer successfully logs into their online bill info page, they will see all of the billing data for their accounts as well as a link that will take them to the payment page. 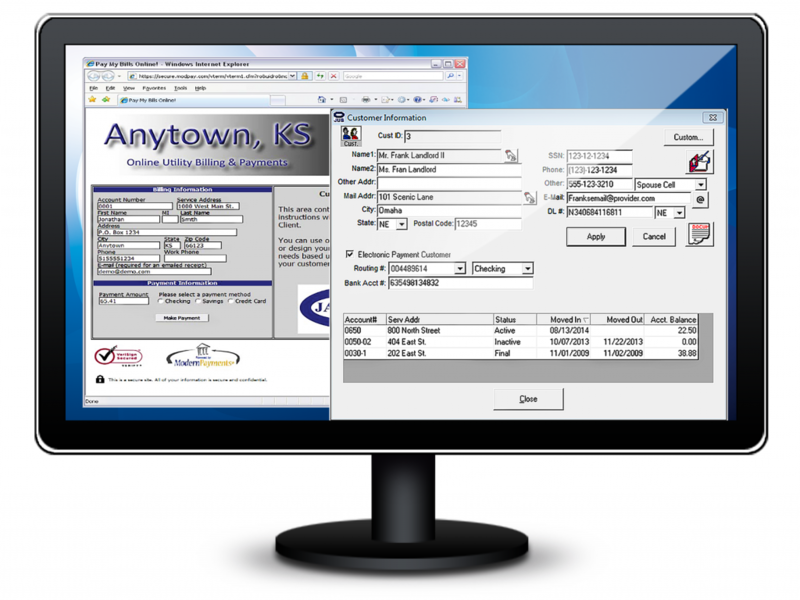 The payment page displays the customers account number, first name, last name, mailing address, city, state, zip code, phone number, email address, and balance due. Customers can use a credit card or checking/savings account to pay any amount they wish towards their utility bill. The website will then process the payment received. Payments may take up to 3 business days to process. As a precaution, the due date for online payments should be set to at least 3 days prior to the application of late charges to allow sufficient time to process the payments. At any time (e.g. at the end of each work day) the billing clerk will use JUS Online and the web service to retrieve infor for all payments that have cleared through the website. Once a payment has been sent to a payment batch, it is not retrieved again from the website. 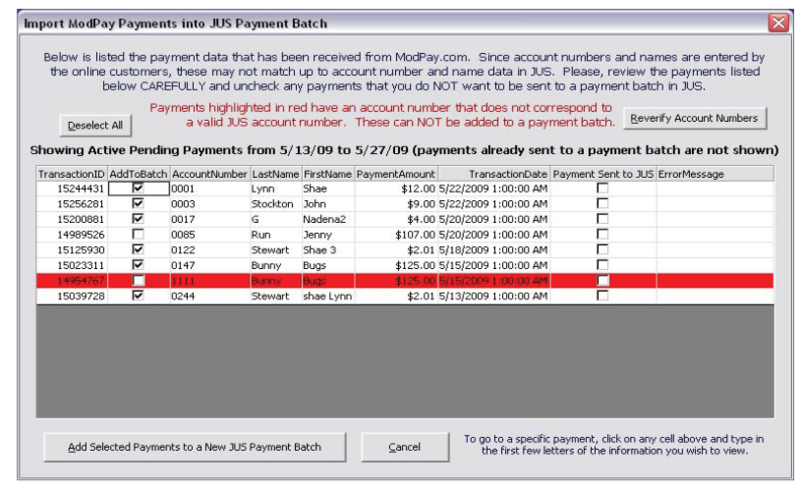 Once the payment information is retrieved from the website, the billing clerk can select which payments they would like to import into a JUS payment batch. Once payments are inside the JUS payment batch, they can be edited, modified, deleted, or applied to the customer's account. Module pricing for JUS online bill pay does not include card processing transaction fees. These can be charged to city/district or passed on directly to your customer. To see a demo of how the website bill pay works, and see what your customers will see, click here.